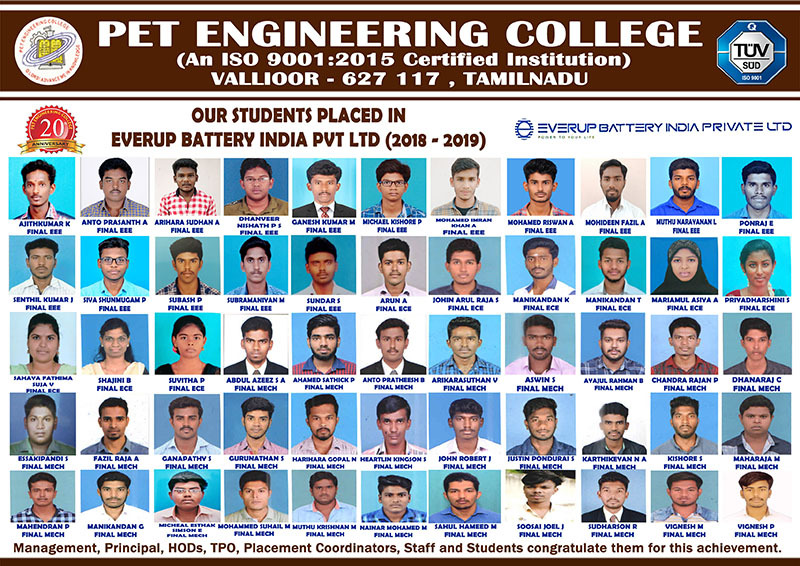 PET ENGINEERING COLLEGE is a well-developed institution offering a variety of programmes in Technical Education. 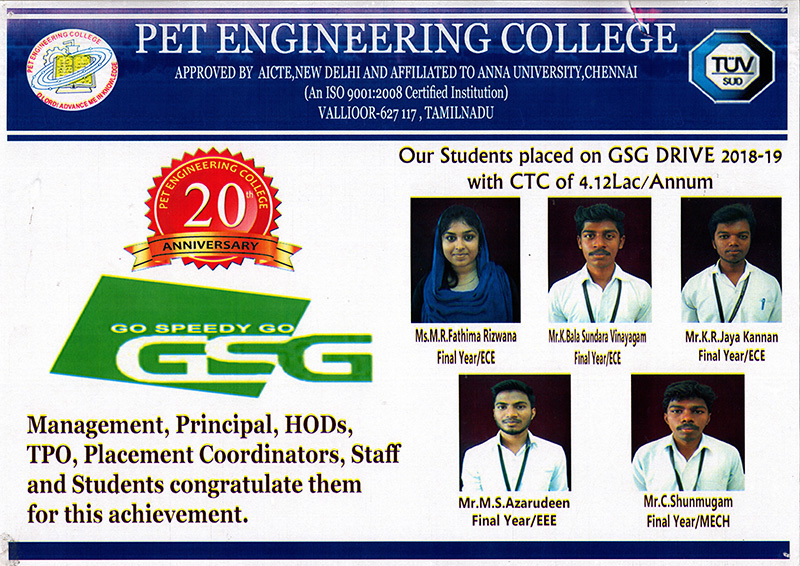 The College is an ISO 9001-2008 Certified Institution. 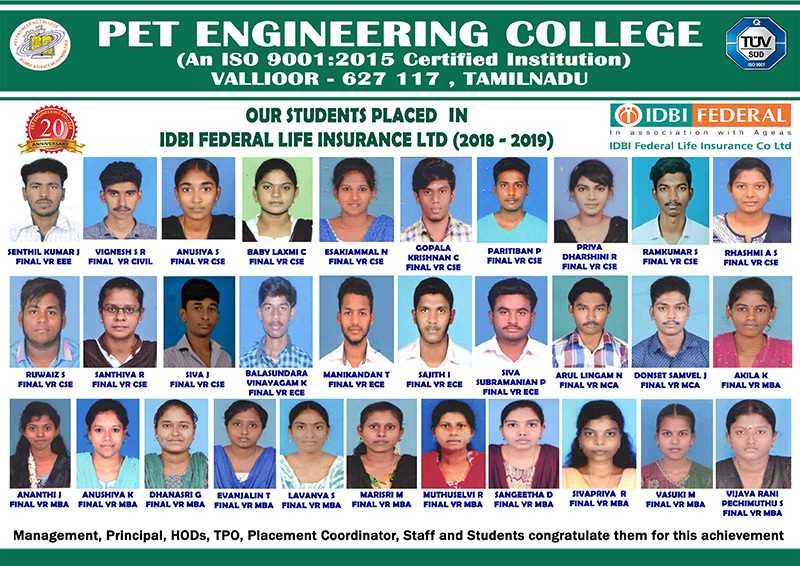 PET Engineering College is approved by the AICTE (All India Council for Technical Education) New Delhi, recognized by the Government of Tamil Nadu and affiliated to the Anna University. The College started functioning from 28th September 1998 in its permanent Campus with spacious and attractive new buildings. 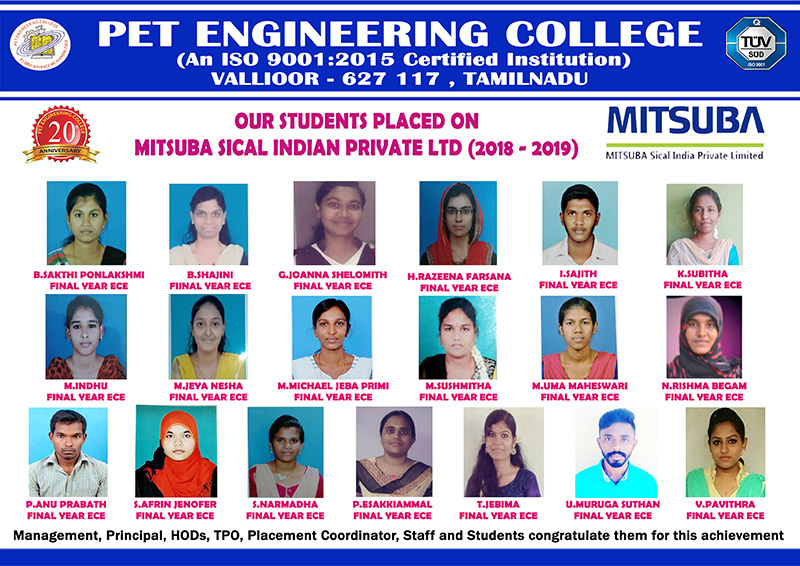 The College is located at a sprawling site of 57 acres on the Vallioor - Tiruchendur Highway about 3 km. from the Vallioor Town and is well connected by roads and railways to the lengths and breadths of the Country. It seeks to impart Technical Education of a high caliber to meet the growing needs of Engineers and Entrepreneurs in business and industry. 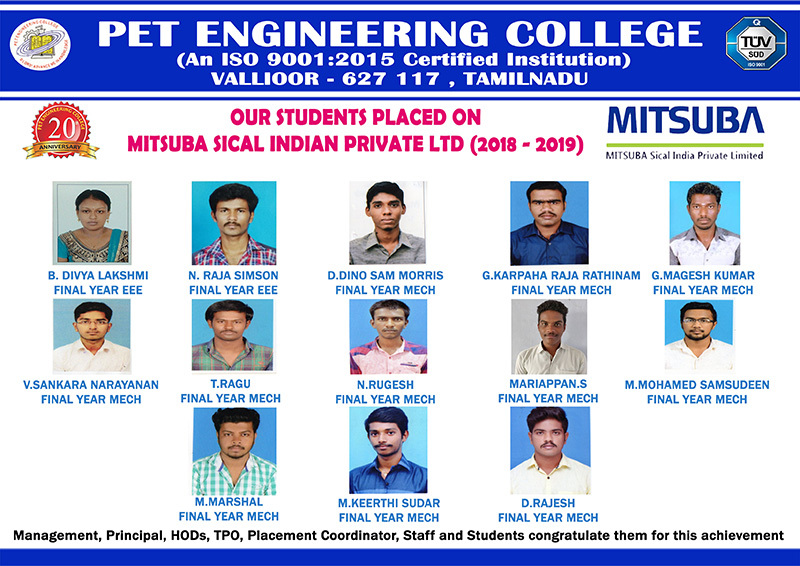 The PET Engineering College is sponsored by Popular Educational Trust, a registered Charitable Trust.